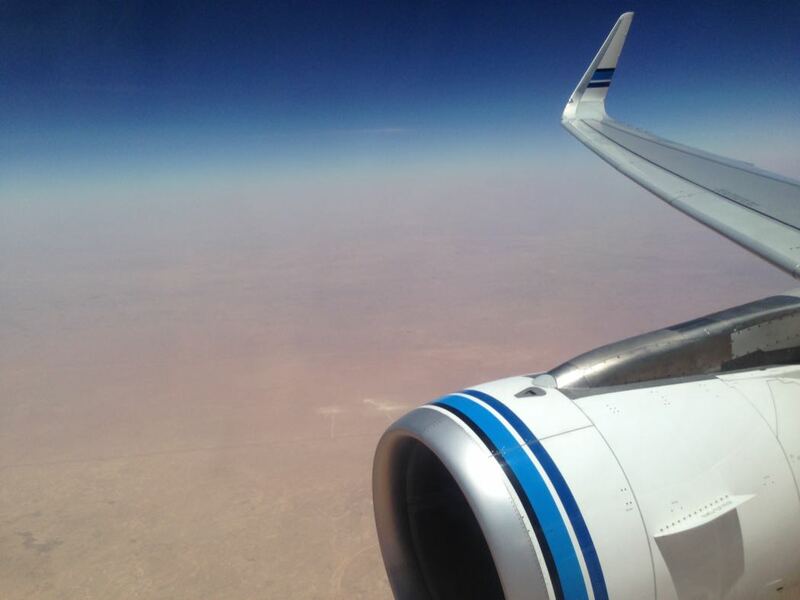 Mid 2016, I travelled between Jordan and Kuwait and tried our Kuwait Airways Business Class on the A320 instead of my usual choice of Oneworld alliance partner Royal Jordanian in Business Class. Kuwait Airways operates two flights a day from Kuwait to Amman, Jordan, with the exception of Monday where there is only one morning flight. Unlike the glamorous 3 Middle Eastern airlines (Etihad, Emirates, Qatar), most of the other airlines in the Middle East is actually more normal and less glitzy. Kuwait Airways is no exception, and it operates a small fleet and serves much fewer destinations. Business class passengers on Kuwait Airways are able to access the Dasman Lounge at Kuwait International Airport. After having a quick bite at the lounge, I went to the gate to board my flight. For all regional flights, Kuwait Airways uses the Airbus A320-200. All their A320 planes are divided into 2 cabins, with a total 130 seats comprising of 20 business class seats and 110 economy class seats. 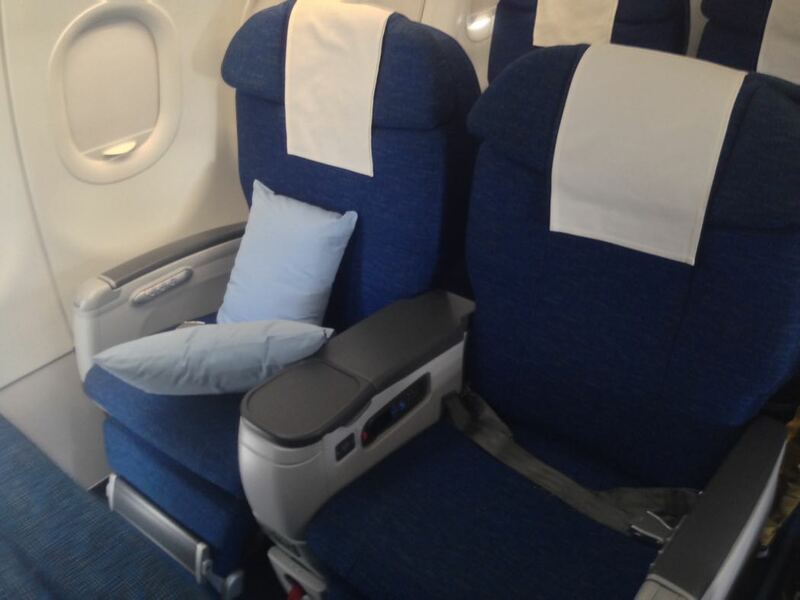 The business class seats are divided into 2 seats on each side of the aisle, and feature recliner seats instead of angled flat or lie flat seats. For short distance trips, I think that these seats are adequate as they offer comfortable padding and a generous amount of leg space. 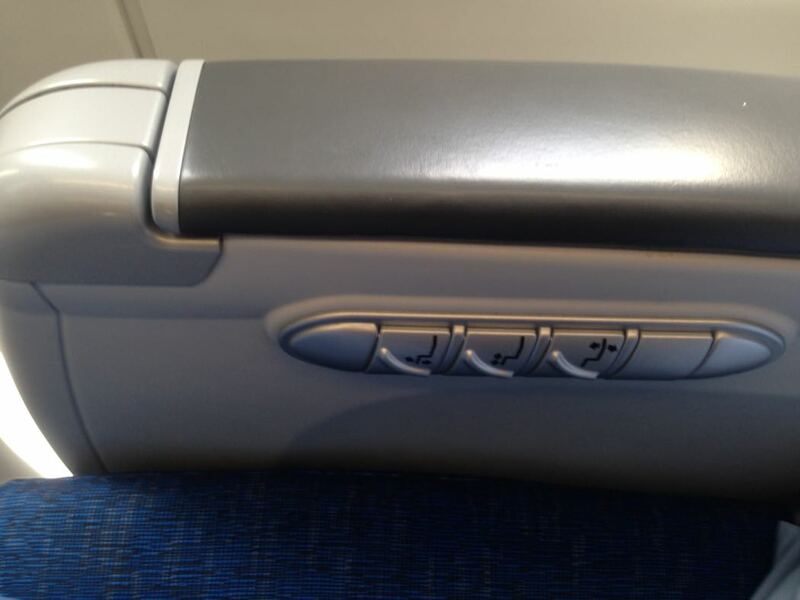 The seat controls were on the side. 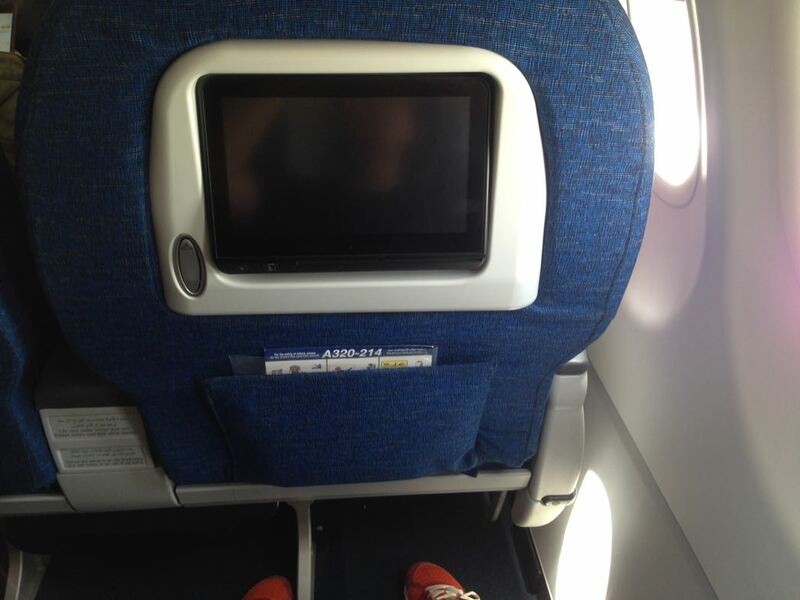 In this trip, I was sitting in seat 3K. After boarding, I was offered a hot towel, newspaper options and a welcome drink. 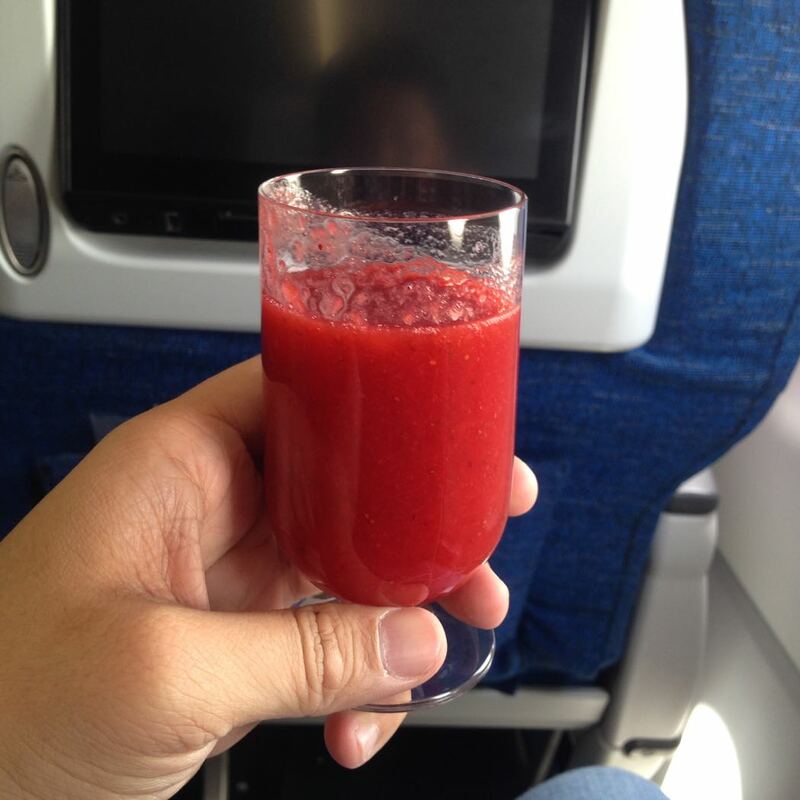 As Kuwait Airways is a dry airline, the welcome drink in this flight was a delicious glass of thick strawberry shake instead of a glass of champagne. Oh well! Shortly after, the flight took off smoothly. 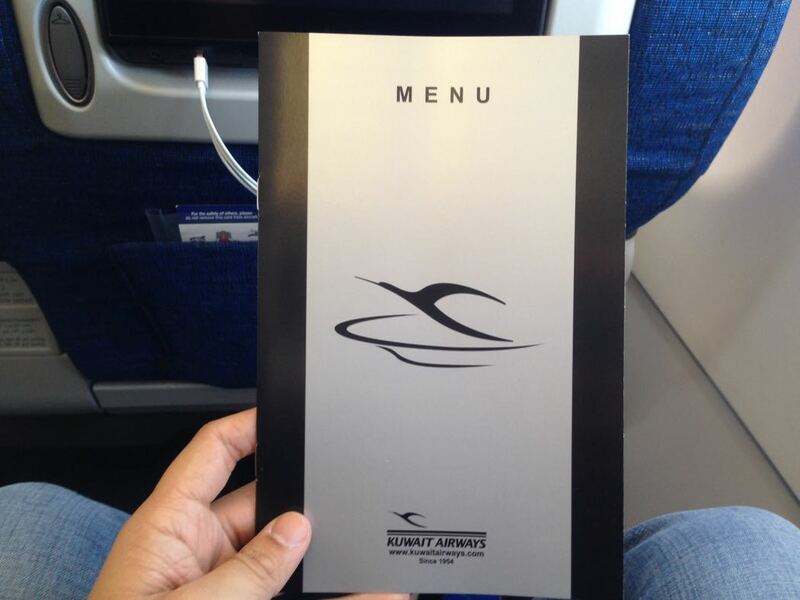 After reaching cruising altitude, the stewardesses began distributing the food menu. 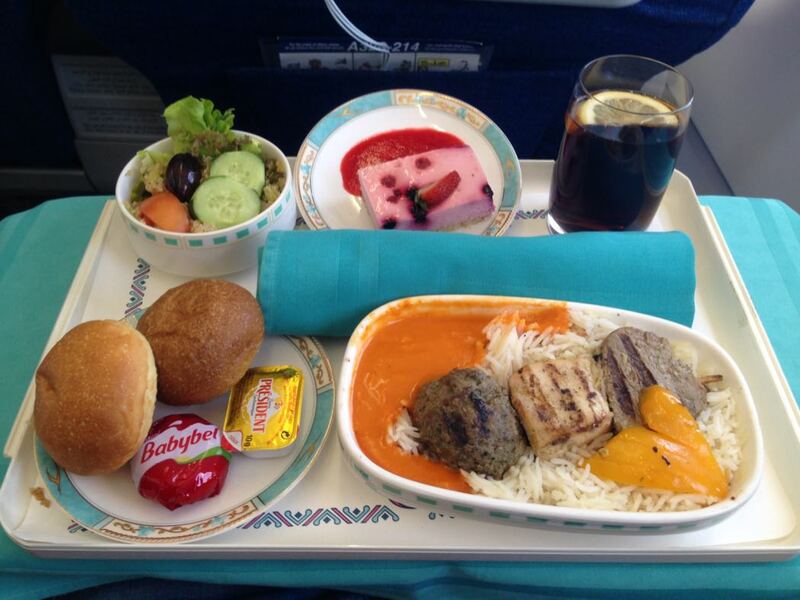 For this flight, the starter was a Quinoa salad, a choice of 3 main course options – fish, meat skewers or lamb, and a berry cake for dessert. I chose the meat skewers. Instead of serving separate courses, all the meals were out at once on a tray. While the presentation and meal service was not sophisticated or refined, the food was actually quite tasty. Once again, the drink options were limited to water and soft drinks. I had a glass of diet coke with a slice of lemon. 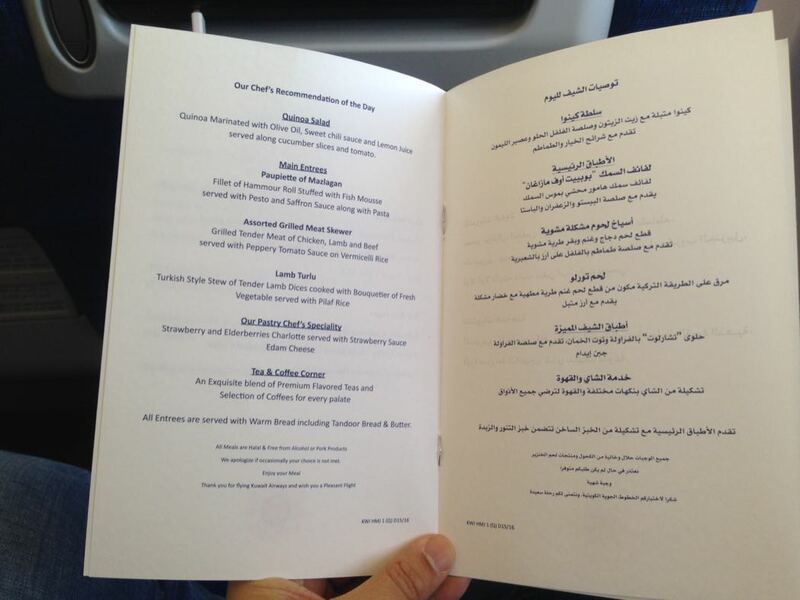 After the meal, the stewardesses cleared the trays and served arabic coffee or tea. I had a cup of strong arabic coffee, and entertained myself by watching some TV series on the entertainment system. 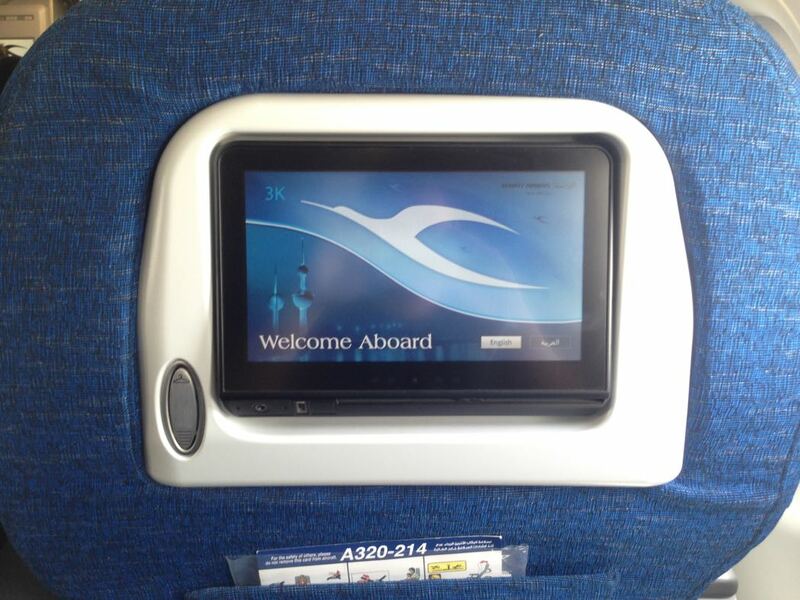 The entertainment system on board had limited non-English options, and the monitor screen was quite small for a business class. 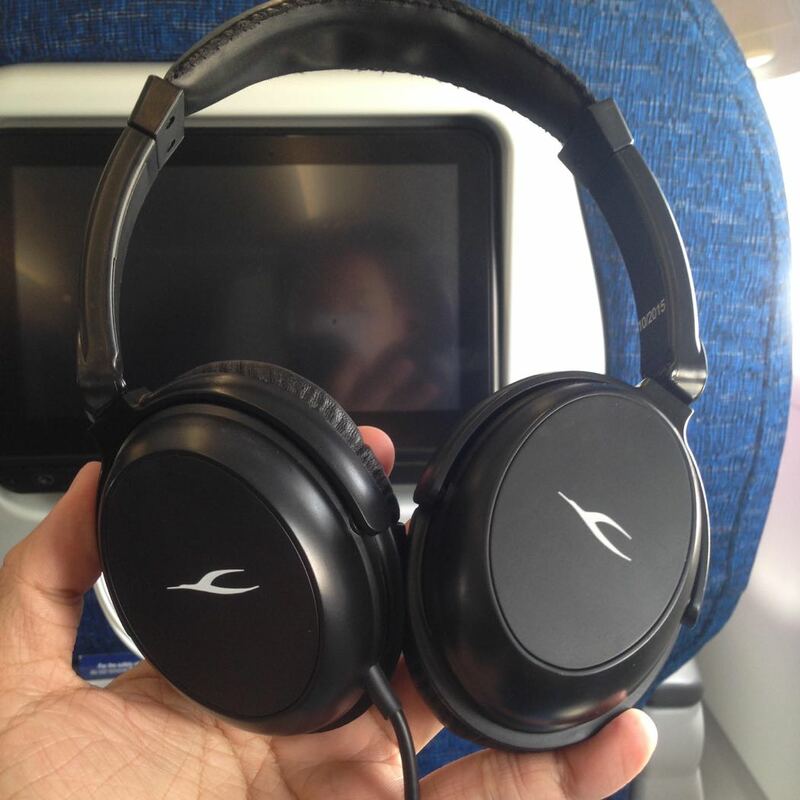 Kuwait Airways does offer a generic noise cancelling headphones however, which were quite comfortable. 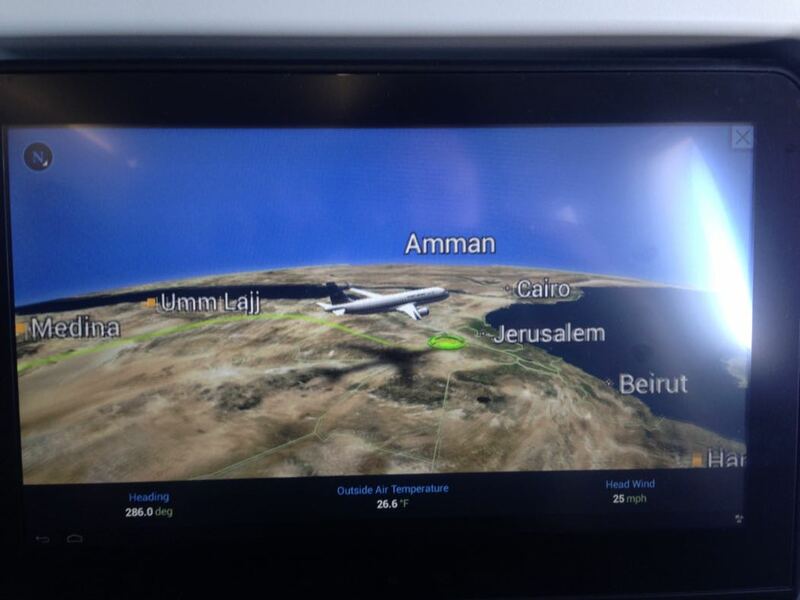 Soon, the flight began its descent into the Amman airport. The stewardesses began collecting our headphones while we prepared to landing. While Kuwait Airways might not be the most glamorous airlines around, for the purpose of this short 2 hour and 30 minutes flight, I must say that I had no issues with them at all.